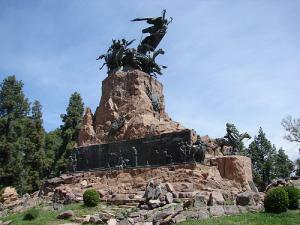 Mendoza offers a wealth of activity for every type of traveler. From adventure sports to city walking tours or a cycling wine tour to scenic high mountain excursions, the only thing you will be missing during your visit to Mendoza is the time to do it all. For details about the rugged type of adventures, visit the Outdoors page. Below you will find information on things to do within the city. Ancient acequias, canals built by the Incas that efficiently carried glacier waters from the high peaks of the Andes to the desert valleys of Mendoza, have allowed a thriving wine industry to grow in the region. The unique environment, with copious amounts of sun, low humidity, limited rain and rocky soils, give Mendoza’s wines a truly distinct taste. 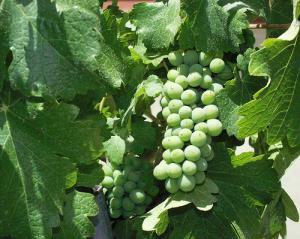 The quality Syrahs, Cabernet Sauvignons are often overlooked for the region’s specialty; Malbec wines. Many options exist for visitors to visit the bodegas and taste an assortment of wines; the most common are half-day tours to two or three wineries or an independent cycling tour. 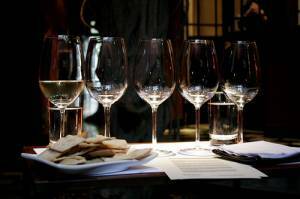 Although these both offer an outstanding trip, if you are interested in the wine more than the sightseeing and guided tours, head no further than the Vines of Mendoza tasting room. Located one block west of Plaza Independencia on Calle Espejo, the Vines is home to the world’s largest collection of premium boutique wines. In the afternoons, the bar is open to visitors who wish to taste a variety of wines, which are purchased in “flights” that include five to seven different tasting samples. The bilingual staff walks you through the history, quality, and special characteristics of each wine, helping you learn the intricate details of each selected wine. In the evenings, events are staged by any of the local bodegas to highlight their specific wines, culture and history. Entry to these events is very economical, often costing as little as $15 pesos. Presented in two languages, English and Spanish, these presentations are the ideal way to learn about the region’s unique challenges and benefits, while increasing your knowledge of the wines themselves. A tour of the city’s plazas is a great way to get to know your new surroundings. The downtown has five plazas that are all worthy of a visit to take in their individual monuments, all of some historical significance. 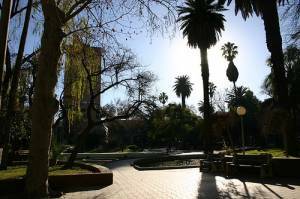 Plaza Independencia, with monuments dedicated to, you guessed it, Argentina’s independence, is located in the center of town. Featuring a theatre, modern arts exhibit and a nightly artisan’s market, the plaza is truly the heart of the city. The other plazas, Chile, San Martin, Espana and Italia, offer beautiful green spaces and people watching opportunities. Plaza Espana and its beautiful tiles should not be missed. 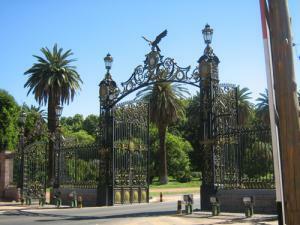 Lying on the western edge of the city, Parque San Martin is a must see for anyone who visits Mendoza. The park, used by locals mostly on weekends and holidays, offers many attractions and activities. For the physically active, the possibilities are endless. A 3 km running track circles a beautiful lake, similar to New York’s Central Park. Along the track, you will also find a free outside gymnasium that has a good selection of training equipment. The regatta club has rowing skulls on the lake, the cycling club has a velodrome and the Hipico club has horseback riding. The best activity is likely the hike to the top of Cerro de la Gloria, where you will find breathtaking sights of the city and surrounding areas and a monument to the men who won the independence for Argentina, Chile and Peru. For the more tranquil visitor, the park offers just as many attractions. A Greek style theatre, where the annual Vendimia Festival culminates, is located south of Cerro de La Gloria, while the zoo, home to over 700 species, is located to the north. The large lake, surrounded by a rose garden and hedge maze, offers many places to sit and relax on a sunny afternoon before heading to the parks Natural Science Museum. The Isla Malvinas Stadium, built to co-host the 1978 world cup of soccer, is a must see for every visitor. With the local Godoy Cruz team currently in the nations B league, tickets are inexpensive and the quality of soccer is extremely high. Be sure to check with a local agency or your hotel, as exhibition games, featuring A league teams or Argentina’s national team are frequent. With everything from cities, towns, parks, plazas and streets named after General San Martin, the name is synonymous with Argentina’s history. San Martin lived in Mendoza with his family, and more famously, recruited and trained his army that went on to liberate Argentina and Chile from the Spanish. The museum, open every weekday morning, is completely dedicated to this revolutionary hero. Every year, Mendoza is home to an internationally known festival, the Fiesta Nacional de la Vendimia, which starts on the last Sunday of February and continues through the first week of March. For real wine lovers, it’s an event not to be missed. This festival, centered during the traditional grape harvest period, dates to the 17th century. Eighteen festival queens are elected, each representing a “department” as they are called of Mendoza. The Benediction of the Fruit ceremony takes place on the last Sunday of February. This event, which officially starts the festival, takes place in a different location each year but people are invited to watch as local priests and political figures give their thanks and blessings for the rich fruit harvest. On the first Friday of March, the Via Blanca de las Reinas parade takes place in the city center during the evening. During this event, the beauty queens, one for each of Mendoza’s 18 departments, wear embellishing outfits that display their department’s unique personality and winemaking culture. This is easily the largest event of the festival, in the past it has attracted as many as 200,000 people. The following day many spectators attend the Carrusel Vendimial, which takes place in the morning. This is another parade where the queens ride horseback through the city center dressed in gaucho (cowgirl) style attire. The festival queens are followed by performers who represent various provinces of Mendoza and several other Latin American countries. Later the same day, the Acto Central takes place in the Frank Romero Day Amphitheatre. This event, which requires tickets that should be bought as early as possible, is the culmination of the Festival. 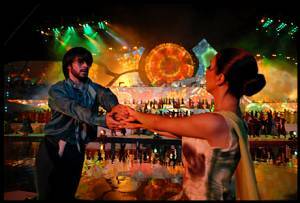 Each year the main themes change, but the spectacle includes hundreds of dancers and actors performing to traditional folklore music. After paying respect to the Virgen de la Coarrodilla, the Queen of Vendimia is elected and a massive fireworks display closes the evening.